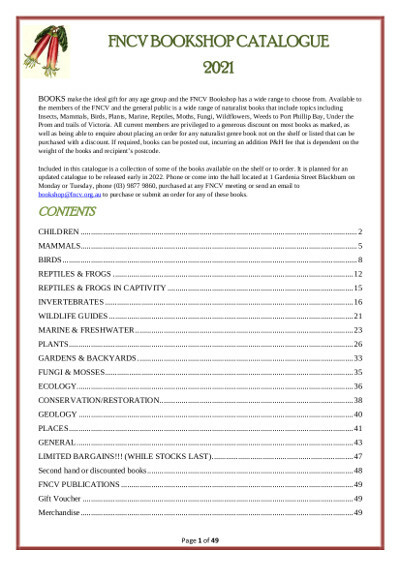 The FNCV bookshop specialises in Natural History books. Please download and browse our catalogues. FNCV bookshop order form can be downloaded from here. Available to members and the general public is a wide range of naturalist books that cover topics from Insects, Water Bugs, Reptiles, Moths, Fungi, Wildflowers, and Weeds.